The gaming industry is continually growing; it expands to different niches and attracts a bigger audience every day. In January 2019, gaming industry revenue in the United States alone reached 893 million USD. With the rise of eSports and new technologies, the sector is thriving. 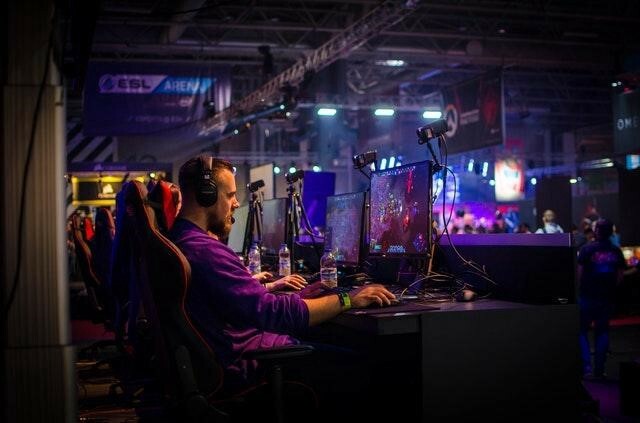 eSports such as League of Legends, Call of Duty, Counter-Strike are generating millions in revenue and attracting a multimillion audience around the globe. Not to mention, innovations as virtual reality (VR), augmented reality (AR), robotics, internet of things (IoT), and artificial intelligence (AI) are transforming the way people approach games and reshape the whole industry. However, not only the mentioned innovations impact gaming but also blockchain technology is affecting the sector. In this article, we will discuss blockchain use cases in the gaming industry and possible ways how it could reshape it. In most cases, blockchain is associated with the finance industry, but you might be surprised that the technology has been in the gaming sector for quite some time. Some examples of the games based on blockchain are HunterCoin, Miner Simulator, Cryptokitties. Cryptokitties became so popular among crypto communities that prices for one virtual pet reached $170,000. The concept of the game is simple: you collect digital cats, breed and trade them. The prompting idea inspired more gaming companies to change their old methods and implement blockchain. However, this innovation is not only a fun way to boost gaming, but it also has many benefits for the gaming industry’s growth. Revenue loss due to fraud is one of the most severe issues facing the gaming industry. As many platforms don’t have operations to authorize players and exchange they make on the system, it opens the door to fraudsters. It is common to buy and exchange virtual assets, but without a reliable system, it’s hard to trust other game players and avoid scams. However, blockchain could quickly change that by providing all the necessary data to prove authenticity. The system is transparent, which makes it hard to be hacked or altered. High security and privacy features ensure fraud-free exchange. Many video games offer a wide range of virtual assets to enhance your performance in a game. These digital items can cost from as low as a few game-earned tokens to thousands of dollars….